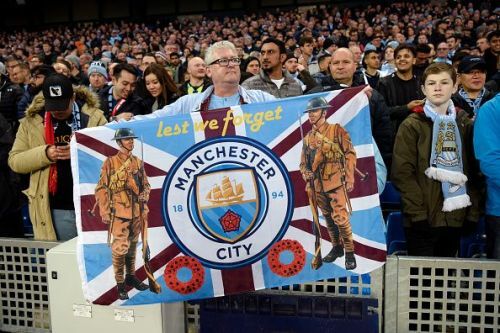 A night of remembrance at the Etihad; 100 years after the end of WW1. Having played the last 6 editions of the Manchester derby without any home wins for either clubs, Pep Guardiola's men looked to right that stat. Manchester City came into this game after having scored 12 goals in the last 6 days, whereas the Red Devils looked to build on their hard-fought victory in Turin four days ago against Juventus. 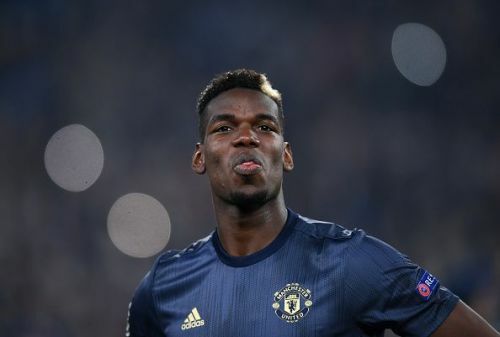 The big talking point before the start of the match was the exclusion of Manchester United talisman Paul Pogba, who was exceptional the last time they visited the Etihad Stadium, having scored twice in their spirited comeback. Paul Pogba missed the Manchester Derby owing to an injury he picked up at Turin. Marouane Fellaini started the game occupying the deepest role in the midfield. Jesse Lingard, along with United's saviour in recent times, Frenchman Anthony Martial, were on the flanks, with Rashford in the middle. City were attacking right from the off, and Fellaini was almost the third centre back for United during most of the set-piece advancements made by the Blues. On quite a few occasions City spilt possession away deep in the United third, but the Reds were too slow to build an attack, having committed too many men in defence. David Silva scored the opening goal in the 11th minute for City. 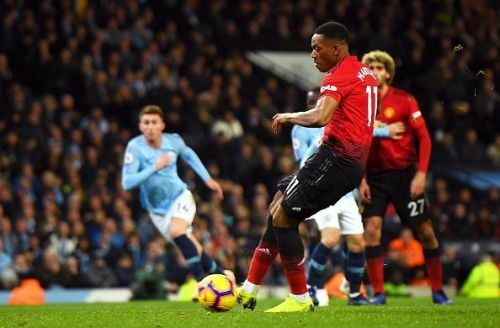 United eventually gave in to one of the many relentless City attacks where Raheem Sterling broke free of Young on the left wing and put a cross for Bernardo Silva, who got past a sloppy Lindelof and dragged it in for David Silva who made sure the ball went past his Spanish compatriot David de Gea. Sometimes, Manchester United did manage to get the ball rolling forward in attack, but the front three were poor with their execution, and most of the time, were out of position. In the final quarter of the first half, United did manage to tame the City attacks to an extent. As the game approached the break, a touch of frustration could be noticed in the City players, and a hint of delight in Jose Mourinho and his side. Sergio Aguero's roaring strike to give City a two-goal lead. 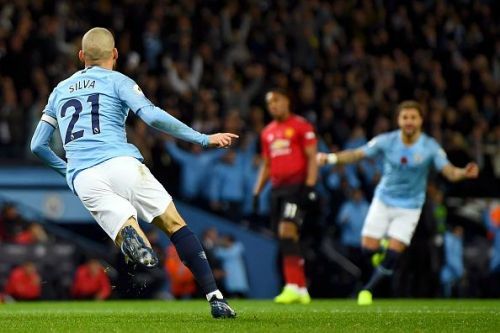 As the game restarted, United, who have had a terrific second half form lately, were expected to deliver, but as things unfolded, the Reds found themselves staring at a two-goal deficit for the second time this season, after Lingard gave away the ball to Aguero in the middle of the park who dribbled his way through and played a sweet little 1-2-1 with Mahrez, and finally blasted the ball through De Gea at the near post. 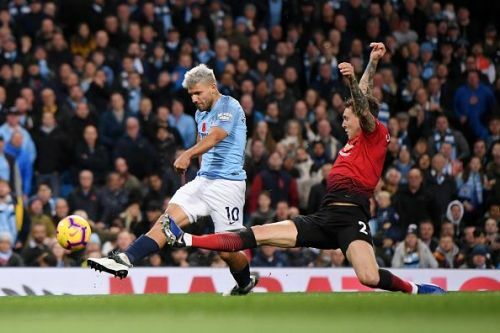 It hadn't been even two whole minutes after Lukaku was brought in when he was racing for the ball with City stopper Ederson, having finally won the ball and winning his team a penalty. It was their go-to man Anthony Martial who stepped up and calmly scored in his 5th consecutive game for Manchester United, joining a list of elite players who have done so in the past. Ilkay Gundogan delivered the knockout blow with a clean finish in the 86th minute. 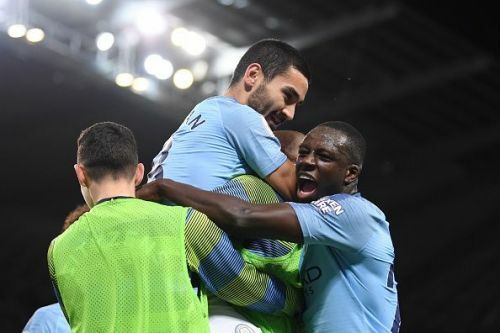 For some time after that penalty, it felt like there was something Red in the air, but it was all for nothing and the game was put to bed when City substitute Ilkay Gundogan converted Bernardo Silva's peach of a ball into a fine goal after an admirable 40-pass move by Manchester City. It was evident that Jose Mourinho had to resort to his bench in order to bring a transformation on-field, and having played all his cards, he still wasn't able to make any significant impact in the way his team played out the remaining second half. Mourinho's 300th Premier League game ended with a 3-1 defeat to their "Noisy Neighbours", who with this victory, have extended their lead to 12 points over United, and are the League Leaders at the moment.